The Mormon Tabernacle Choir announced today that Brian Stokes Mitchell and Linda Eder — exceptional performers each noted for their work on Broadway and in concerts throughout the world — have been added to the roster for the Pioneer Day Commemoration Concert on Friday, 22 July, at 7:30 p.m. in the Conference Center. Mitchell has performed on two separate occasions with the choir. This will be Miss Eder’s first appearance with the famed choral ensemble. Dubbed “The Last Leading Man” by the New York Times, Brian Stokes Mitchell has enjoyed a rich and varied career on Broadway, television and film, along with appearances in the great American concert halls. 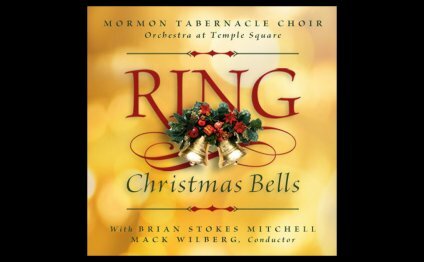 He appeared with Edward R. Herrmann as the guest artist for the 2008 Christmas concert with the Mormon Tabernacle Choir and Orchestra at Temple Square. Linda Eder’s musical career was launched on the TV show Star Search, which then led to a leading role as Lucy Harris in the Broadway production Jekyll & Hyde. She has since released over a dozen albums and performed in hundreds of concerts across the country. Her newest album, Now, reunites her with composer Frank Wildhorn of Jekyll & Hyde fame. The free tickets required for the concert have previously been distributed to the public through the usual random selection method used for this annual concert. However, the concert will be rebroadcast in its entirety the following night, 23 July, at 7:00 p.m. on BYUtv and on 24 July at 8:00 p.m. on KBYU, channel 11. Click here for additional broadcast times. It will also be shown at various LDS stake centers throughout the world via the Church satellite system. Those without tickets may choose to stand by on the chance additional seating becomes available. The stand-by line forms at the north gate of the Conference Center approximately 90 minutes before the concert.